Anthony is an entrepreneur, passionate business builder and leader. He is a Senior Executive with a proven track record of successfully raising venture capital and creating value for shareholders and team members alike. He is currently a Partner at Firepower Capital, where he leads the Private Equity division. Previously he was the Chief Strategy Officer at Thinking Capital, a FinTech company and Canada’s leading alternative small business lender. 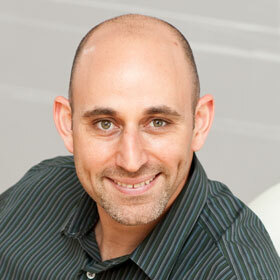 Prior to joining Thinking Capital he led StubHub, eBay’s ticketing marketplace, as their Canada Country Manager. He led their successful expansion into Canada, achieving growth rates of over 100% in two years, becoming the clear market leader. Previously, he co-founded iStopOver, a venture capital backed innovative short-term vacation rental marketplace which was acquired by 9flats.com. Prior to that he was the Vice President of Business Development at Brightspark. Anthony is a startup Mentor and Advisor with an extensive local and international network of contacts, having lived in and built businesses in South Africa, New York and Toronto. He graduated from Long Island University in Brooklyn, New York, which he attended on a Full Soccer & Athletics Scholarship.